Selected artists will be painting / drawing live in VISUAL ARTS TENT #1. Stop by to watch as they transform a blank canvas into a work of art. Finished pieces will be auctioned, so place a bid on your favorite(s)! Visit VISUAL ARTS TENT #2, sign up, and draw Roboto. Drawings will be scanned and posted on the Kinetic Derby Day Facebook page. Voting on the best drawing will open on April 28 and close on May 5. Join us in the courtyard behind Ed’s Editions on Meeting Street for poetry and jazz. The Brookland-Cayce High School drum line will open Derby Day, leading the Kinetic Sculpture Parade down Meeting Street and onto State Street. The Columbia Community Drum Circle will be jamming near the Derby finish line from 11:30-13:30. Founded is 2004ish by a local group of hand drummers who wanted to provide a safe, non intimidating, family friendly forum for people to get their jam on. All levels are welcome. It’s a great place for beginners or the just curious to experience the joy of group drumming. We invite & encourage dancers, hoopers, flow artists & those who would just rather sit by & enjoy the vibe to join us. Saluda River Academy for the Arts is a Kennedy Award-Winning ABC Site public arts school in Lexington 2. This small neighborhood school offers every student the opportunity to participate in Theatre, Dance, Music, and Visual Art on a weekly basis. Saluda River also offers arts integration lessons, artists-in-residence programs, and many after school arts programs for students of all ages. The school's mission is to inspire, empower, and advance every student to meet high academic standards, lead healthy, ethical lives, and be responsible and innovative global citizens. The musical union between Kelley [McLachlan] and Kristen [Harris] began in 2012, when the two musicians joined forces as part of the female folk trio The Prairie Willows. Their sound integrated 3-part harmonies, old time fiddle, and sorrowful songwriting. Their music quickly evolved into their now spirited multi-instrumental folk and Americana sound with a soulful twang, featuring an assortment of talented back-up musicians, and, of course, the two leading ladies. The uniting of these strong female vocals with guitar, fiddle and varying other instrumentation gives The Boomtown Waifs a flavor of ruckus and delight that audiences love to be a part of. John the Revelator is the solo project of Jacob Garrett. Jacob has been writing songs for over a decade, compiling hundreds of songs, and John the Revelator serves as an outlet for the most raw and intimate portion of them. These songs span from stomp blues to the darkest of country Americana with no forgiveness in between. The name John the Revelator derives from an old Blind Willie Johnson song, from which Jacob also gets much of his inspiration. John the Revelator simultaneously plays guitar along with a bass drum, snare, and high hat while delivering raw and intimate lyrics with his rare vocal styling: John the Revelator dares to do what many artists won’t attempt. This act is unique, vulnerable, and riveting. Michael Krajewski is a self-taught artist who has shown in numerous galleries, collaborated on large commissioned pieces for museums, painted live at art events and been the subject of magazine and newspaper profiles. His style has been called neo-expressionist and compared to Jean-Michel Basquiat's, though Krajewski is less interested in defining, more interested in producing. He works in mixed media. Most recently, he's had solo shows at the HoFP Gallery, Frame of Mind, and Anastasia & Friends in Columbia, SC. He's participated in a two- man show at the Waterfront Gallery in Charleston and in group shows at 701 Whaley and the Tapp's Art Center in Columbia. In 2011, he taught a summer session at the South Carolina Governor's School for the Arts. He has also painted murals at the Upstate Children's Museum in Greenville, SC (collaborating with Justice Littlejohn) and for the Columbia Museum of Art (alongside painter Cedric Umoja). He has created set pieces for the Columbia City Ballet and Trustus Theater and painted on the flesh of live models at the What's Love art event in Columbia. In 2012, he painted a mural in reverse, on a window at the Tapp's Art Center; people attending the First Thursday gallery crawl watched the mural reveal itself, while a video camera positioned inside the window provided a live feed of him at work. Krajewski has been the subject of stories in The State newspaper, the Free Times, Jasper Magazine, Undefined ,and skirt! magazine. He is represented by the HoFP Gallery in Columbia, SC. Award-winning multi-media artist living and working in Columbia, SC, in painting, sculpture, film, digital/multimedia, and installation art, with works exhibited locally and regionally in major art festivals, galleries and alternative spaces, and featured in Jasper Magazine, the SC State Newspaper, Garnet and Black Magazine, and the Timber Journal of the University of Colorado, Boulder. Shelby LeBlanc is a contemporary painter from Columbia, SC. She has participated in solo and group shows throughout Columbia including Izms of Art, Grapes and Gallery, and the inaugural Saki Tumi’s Art (uncorked) event. Shelby’s work has been exhibited around Columbia and Charleston including the Vista Lights, Devine Night out, State Street in Cayce, Spencer Art Gallery in Charleston, SC. In 2018, she painted new murals for Columbia’s London and Lace, Peebles Wing Shack, Dano’s Pizza, Cottontown Brewery, Charleston's Frothy Beard Brewery and Push Digital. She produced illustrations for the children’s book “Stella Finds Her Home,” written by William Baker, which was published and released this year. LeBlanc most recently debuted a fifteen piece, mixed media series, wander.lust, this past fall at Richland Public Library on Assembly and in 2019 she started the year with a showcase at the 701 Whaley Hallway Gallery and a large scale paper mache octopus project in Charleston, SC. Much of her works are inspired by the time spent away from home, from the Low Country of South Carolina to her trips to Africa, Costa Rica, Mexico, Europe, and Thailand. She favors acrylic paint for most of her work, however some of her works delve into watercolor, inks, crayon, or mixed media incorporating book pages, maps, or glass. She paints in a variety of styles and mediums over many different subject matters, however her work is always recognizable- beautiful, dramatic, and demands attention. Thomas the Younger spent his formative years above the Mason/Dixon line; the rest, below. He grew up in the shadow of Seuss. (They're from the same town in Massachusetts, actually.) Little inspired Thomas more than seeing the study whereinwhich Horton's Who was first heard...thus, art and literature have been as important as air to him. Creating them; escaping INTO them. His favorite artists are Moebius, Travis Charest, Alex Ross, Salvador Dali, H. R. Giger, Escher, Humberto Ramos, Michelangelo, and Leonardo da Vinci. His favorite writers (in order of brilliance, greatest to least): H. P. Lovecraft, Stephen King, Matthew Woodring Stover, Ann Patchett, Theodore Geisel, Edgar Allen Poe, Ralph Waldo Emerson, Clive Barker, Emily Brontë, Joe Abercrombie, and Neal Stephenson. If left to his own devices, Thomas would prefer to be a fusion of them all. His poetry can be found on Facebook (as well as some sketches--they're on his art Page: "The Works Of Water"); some prose, on Wordpress as "thomas the younger". The Cola Town Bicycle Collective is a 501(c)(3) non-profit, charitable organization of bicycle users whose mission is to educate and empower the community by providing a welcoming space to learn about bicycle repair, engage in maintenance practices, and promote safe operation through outreach and advocacy activities. We are currently working with various organizations to get free or low cost bikes to individuals in our community that need reliable transportation to get to and from work. Through our partnership we help the underemployed, unemployed, those recovering from substance abuse as well as refugees and immigrants who are relocating to our community. If you have any questions, or feel we may be able to help you, please feel free to reach out. Our number is (803)216-5106 and email is colatownbikecollective@gmail.com. To encourage the beautification, historic preservation, and development of the member businesses and properties. To work to improve the business climate and foster business opportunities for independent businesses. To provide benefits, services, and education to aid in the operation and profitability of its members. To promote harmony, good fellowship, and a closer relationship among members and all area business and property owners. To urge members and surrounding residents to support local business whenever possible. To promote entrepreneurship as a prosperous opportunity for the area. To encourage and support a high standard of ethics in every business and profession. To promote such municipal, state, and federal legislation or regulations that will preserve fair competition and encourage local enterprise and individual initiative. Mission Statement: It is the mission of the City of Columbia Arts Center to provide the citizens of Columbia with activities and events for a safe and positive arts experience. The arts are an integral part of the Columbia Parks and Recreation experience. From classes and shows to special events, we sponsor a variety of programmed activities for folks 6-90+ years old. 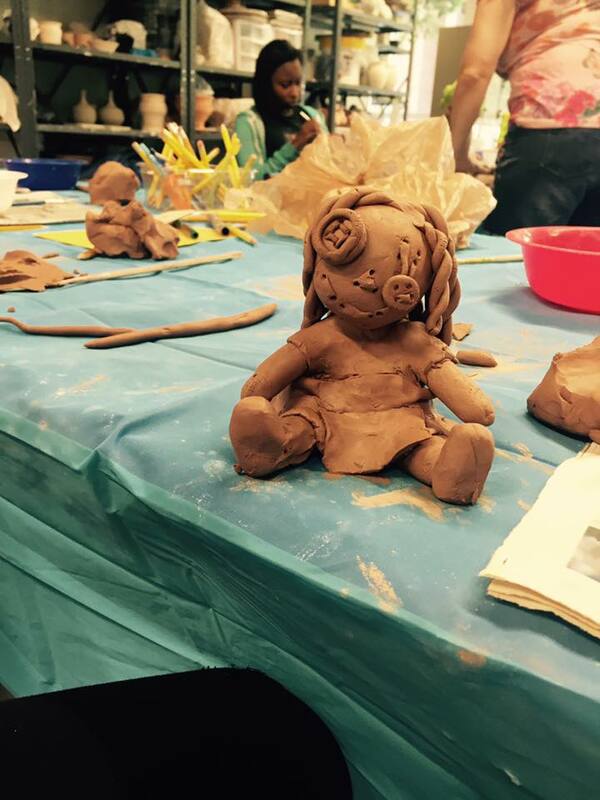 The Arts Center serves as a hub for pottery enthusiasts as well as classes in jewelry making, sculpture and visual art mini-workshops. 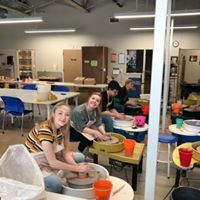 Whether your experiences in clay include college level courses, workshops, or high school classes – we have the means for you to continue your enjoyment with clay. Throughout the year we also offer a variety of support classes such as sculpting, mold making, and intensive themed classes. Check out our listings to see what program best meets your needs. The Art Center is Parks and Recreation's home for cultural arts. It is the center of multiple opportunities for adults and children alike, as it houses classes, workshops and open studio for participants to explore and learn about the visual arts. 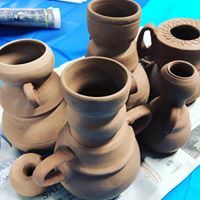 Many of the classes are for pottery but we also offer some mixed media classes as well as specialty classes and workshops. With our location at 1227 Taylor Street we are able to provide a more rounded experience in the arts for the public. We can offer courses in basket weaving, sewing, painting, drawing, needle felting, fiber art, and so much more. For more detailed information contact Brenda Oliver at 545-3093 or e-mail at brenda.oliver@columbiasc.gov. West Columbia Beautification Foundation is committed to redefining West Columbia as an impressive and attractive place to live, work, or visit by involving the entire community in positive beautification efforts. Process – illuminating the unique processes endemic to all art forms in order to provide a greater level of understanding and respect for that discipline. 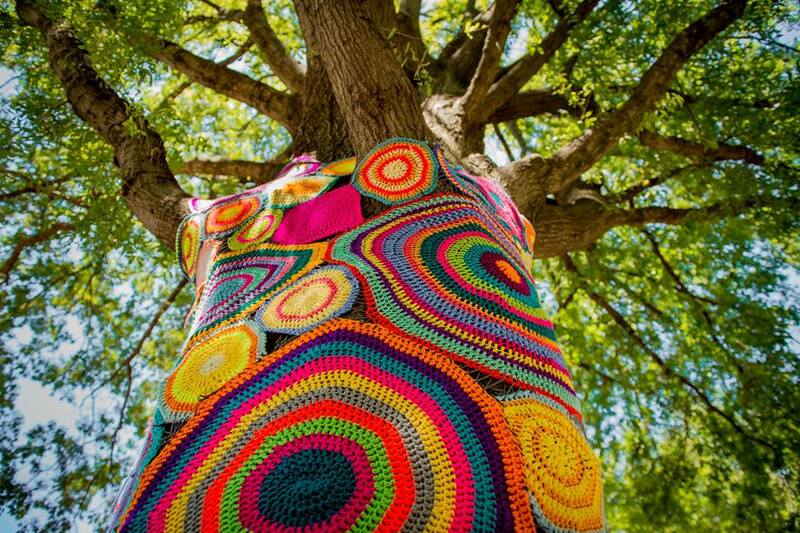 Community/Collaboration – nurturing community both within and between arts disciplines. Narrative – creating a more positive and progressive understanding of SC culture. Economy – being efficient stewards of arts funding committed to creating more with less. IT-oLogy is a nonprofit working to grow the number of IT professionals in South Carolina. Because technology shapes our world, we need current and future IT talent to help build a better tomorrow. We offer IT enrichment classes, field trips and summer camps for K-12 students. As well as Teacher Professional Development and IT Career Development programs for adults. Stop by our booth to go on a Virtual Reality exploration to dive into the deep blue sea to spot tropical fish and coral reefs or see how the Aurora Borealis looks from space. The Crafty Cottage has 8 local artisans' items, including handmade soaps and lotions, jewelry, furniture and home decor, chalk couture signs, art, and beach, man cave, baby, and wedding sections. The Crafty Cottage also offers craft classes and birthday party packages. One of my earliest memories was sitting as a child on the kitchen floor, squinting at a light, and marveling delightfully in the ability to manipulate and distort something into another aesthetic or effect. As I grew older, I always found myself drawn to the process of mark-making. I found I could recreate that same distortion, that same curiosity; a play of light, a twist of a form. A collection of textures and a spectrum of values. I’ve always been so curious, and when I first discovered oil paints, I found they were so curious as well. The myriads of ways in which they can be manipulated, distorted, and bent, I’d met my medium that could serve as a vehicle to help me scratch that old, familiar itch of looking, seeing and breaking down how I observe the beauty in this world. I’ve always been fond of fairy tales, playfulness, and fantasies. I also adore the grotesque and the strange. Things that suspend your categories of logic, aesthetics and qualities which arrest you, and make you pause. Painting is very much this process for me. It is delightful, it lets me play. It is incongruous and hard and completely frustrating at other times. It is meditative, and it suspends me; feet on the ground, head in the sky. Cola Makerspace is a volunteer-run, nonprofit organization dedicated to running a community workshop and laboratory. Through our space we aim to foster a community of creators exploring the intersections of science, technology, and art. We welcome the makers, tinkerers, engineers, artists and lifetime-learners of the Columbia area to join us in creating a space where we can all work on personal and collaborative projects in a fun and inclusive atmosphere. Cola Makerspace directs its shared resources into the creation of projects and the sharing of knowledge. We maintain a workshop and stock it with tools and equipment for use by our members. Additionally, we invite skilled community members to share their expertise through classes and collaborative projects. Cola Makerspace is located at 4808 Colonial Dr. and in the USC Tech Incubator at 1225 Laurel St. It has about 25 members: engineers, programmers, carpenters, teachers, and artists. The space includes 3D printers, 4x8 ft. CNC router, laser cutter, woodworking tools, and, soon, a welding shop. Projects include fabric arts, a sailboat, and furniture. Cola Makerspace will host several classes this summer, including programming and welding. Experienced artists and crafters are encouraged to contact us at info@colamakerspace.com for information on getting paid to lead classes or projects. Pat Harris is a local Wood Artisan living in Lexington. His interests and love for wood started with helping his Dad with carpentry work. He started making furniture and accessories for his family and friends as hobby that began his journey of becoming a serious woodworker. Over the last 18yrs he has concentrated his interest in Woodturning. He loves to reclaim wood that is headed for the land fill or burn piles and feels he is “Giving New Life to Trees”. Pat developed his woodworking skills and talent through experimenting with the different forms, textures, and colors of wood and what functional or art piece he could make. He credits the fellow members of Palmetto Woodturners and the Columbia Woodworkers for aiding in his skill development and the many gifted Wood Artist he has studied with through classes and symposiums throughout the USA. He enjoys creating a variety of pieces as it provides challenges that become inspiration for his creativity in making functional and artistic works. Pat enjoys teaching and demonstrating woodturning at art shows, schools, and fairs. His works can be found at arts and craft shows, area gift shops and in the homes of friends and family. He is an active member of the American Association of Woodturners, Palmetto Woodturners and Columbia Woodworkers. The Studios [at Richland Library] consist of a Makerspace, Fiber Arts Studio, Production Stage, Post-Production Lab, Art Studio, Theater and an Artist-in-Residence Studio. Library customers can attend classes in the Studios as well as complete an orientation to work independently in the spaces. With areas focusing on creative entrepreneurship, writing, media, making, and studio art, there is something for everyone, from the dabbler to the professional. Art Studio: Draw, paint, sculpt and more, in guided studio art instruction and open lab sessions. Production Stage: Produce, record, and film with the assistance of instructors or in unguided sessions. Fiber Arts Studio: Sew, dye, quilt and more with the assistance of an instructor or in unguided sessions. Seed Library: Borrow, grow and share each season thanks to an array of local varieties and heirloom seeds. Makerspace & Workshop: Tinker, experiment and create with tools in both guided and open lab sessions. Theater: Stage or screen performances from small impromptu gather-ings to large planned events. Post Production Lab: Create and edit media projects, including audio, photo, video, mobile applications, video games and more using our professional software. Creative Entrepreneurship: Offering makers, artists and artisans the the equipment, knowledge and support they need to turn their passions into a successful microbusiness. Mary Mac Cuellar is a Columbia native, currently residing in Charlotte. She is a wife and a stay-at-home mom to two small boys (4 and 21 months). Cuellar has a degree in marketing and real-estate as well as a masters in elementary education. She is self-taught and learning more about the creative process each and every day. Cuellar began with oil and pallette knife landscape paintings, and she has since ventured into oil dry brush as well as acrylics. She loves to paint animals, landscapes, and abstracts. Rise Above It (RAI) is a Drug-Free Communities Federal Grant Funded Coalition that serves the Lexington Two School District community and we are a LRADAC initiative. This means that LRADAC is the “hub” non-profit from which we operate. Our coalition is a fully grant funded program that is a substance use prevention initiative of LRADAC. Funding will be ending soon so it is all the more important that we have the communities support as we look towards sustainability for the program. The goal of Rise Above It Lexington Two Community Coalition is to make the community safe and drug free for its youth and their families. We do this by enlisting the help of a variety of community sectors including youth, parents, businesses, media, schools, organizations serving youth, law enforcement, religious and fraternal organizations, civic/volunteer groups, healthcare professionals, state and local governmental agencies, and other organizations that are involved in reducing substance abuse. The Lexington Two Community Coalition is continuously recruiting caring individuals, businesses and organizations who all share the desire to make the community safe and drug-free for its youth and their families. LRADAC cares for the needs of the citizens of Lexington and Richland counties of South Carolina. We offer a wide array of prevention, intervention and treatment programs in locations convenient to residents of both counties. With a dedicated staff and innovative programs and services, LRADAC takes a proactive approach to fighting addiction and drug abuse in our schools, businesses and neighborhoods. We tailor our programs to meet the ever-changing needs of the communities we serve. Our prevention, intervention and treatment programs spread the message that there is hope and that substance abuse and addiction are preventable and treatable. LRADAC is a non-profit agency. We are also one of 33 county alcohol and drug abuse authorities recognized by the state of South Carolina. This network of direct service agencies provides prevention, intervention and treatment programs to citizens in all 46 counties of the state. Each year, more than 50,000 South Carolinians receive direct intervention and/or treatment services through the county authorities. Last year, LRADAC alone served more than 5,000 clients. A bridge to success for students who will change tomorrow. At Midlands Middle College, we provide students in the 11th or 12th grade with the opportunity to reach their fullest potential. Through career experiences, dual-enrollment courses, and a relevant curriculum, we partner with students to meet their goals. To apply for enrollment or to learn more about this free, public charter school, visit us online or give us a call today. 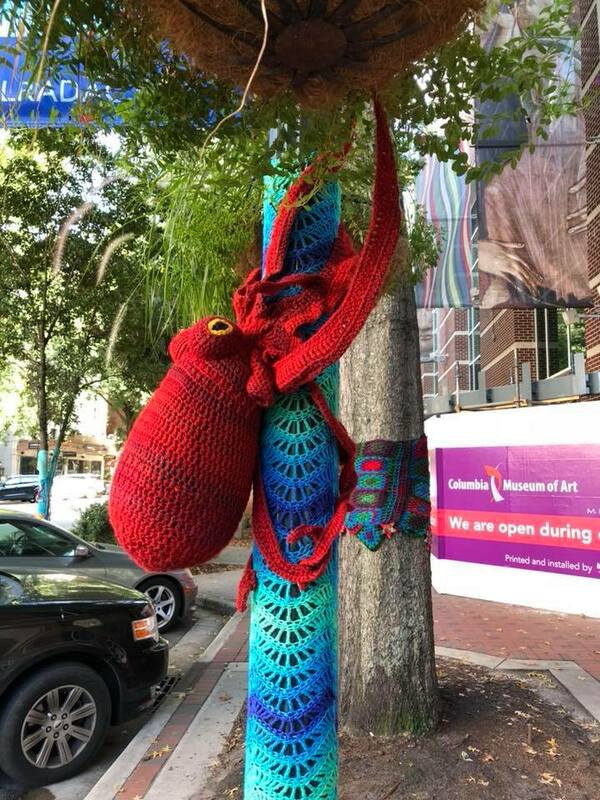 Katie Chandler is an artist and educator based in Columbia, SC. She began her artistic career while studying and falling in love with Art History as an undergrad at Winthrop University. Her life took an unexpected path when she decided to pursue a Master of Arts in Teaching Art Education at the University of South Carolina – there she became a certified K-12 visual arts educator. Katie’s days are filled with teaching students how to plan and create successful works of art and also making time to create artworks for herself! She has recently been exploring various printmaking methods and also teaching a printmaking course. When making her own art, she sometimes likes to plan out a specific image, but she usually enjoys the opportunity to meditate with the materials and create spontaneous and one-of-a-kind monoprints or paintings. Currently, Katie is experimenting with different painting techniques around color theory, movement, and meditation. These paintings usually go together as a set of paintings playing on balance and energy. You may have seen me around town at local art festivals, checked out my social media postings, or Etsy listings under the moniker Wiley Girl Studio. If you see me, Katie, or Wiley Girl out and about, say hi and let’s chat about art, cats, and life!